At the request of one of our event directors we've added the ability to set permissions on what members of your event's admin team can do. You can have as many admins as you like, but rather than granting them all full access you can now control who has access to what. As the event owner you have control over who is invited onto the team and what their permissions are, also you have access to all areas. 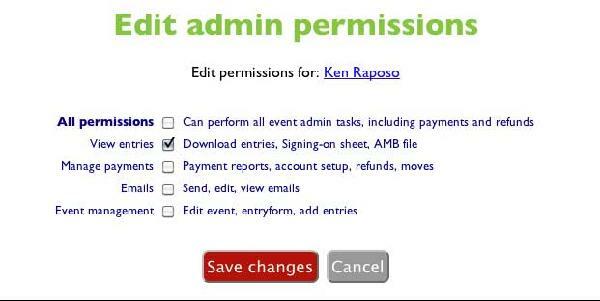 Ticking 'all permissions' means they can do anything. Otherwise you can restrict them to a limited set of permissions. 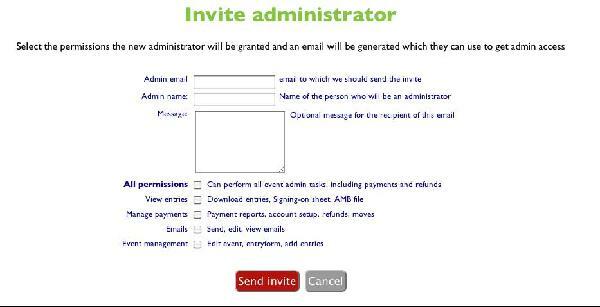 An email will be sent with a link the recipient can click on to gain admin rights to your event.